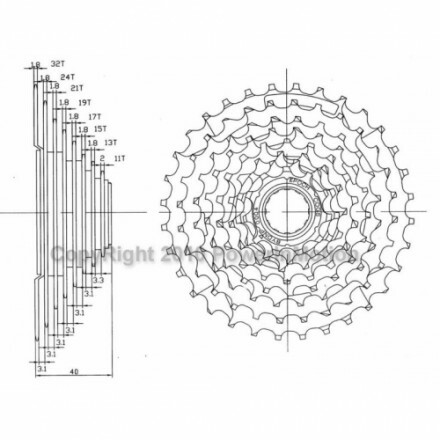 The DNP Range of freewheels are the only currently produced screw-on type freewheel with an 11T high gear, versus the typical 14T, that we are aware of. 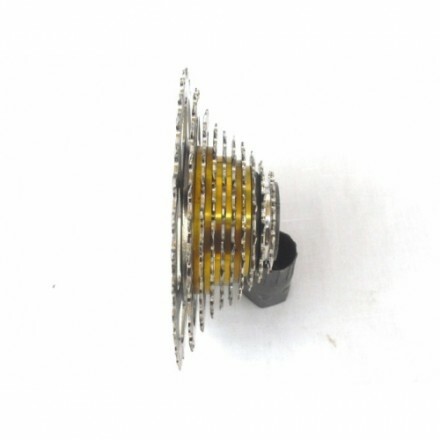 This higher gearing allows pedal assistance to the higher speeds that most will be able to maintain with the addition of motor assistance and this is why they are quite popular for ebikes. เกียร์เจ็ดชั้นจะมีความหนา 36 มม. ส่วนเกียร์ 8, 9, 10 ชั้น จะมีความหนาเพิ่มขึ้นอีก 4 มม. 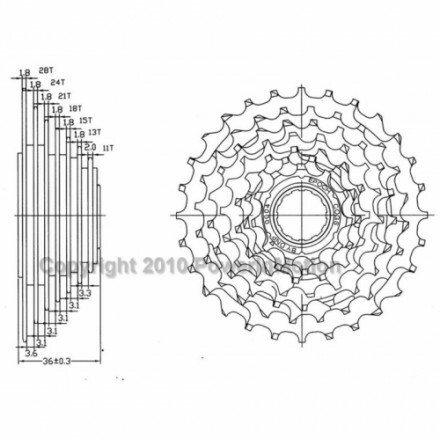 The gear spacing and gear width is almost identical for the 7sp and 8sp, so it should be possible to use a 7sp on a bike originally equipped with 8sp changers. Just adjust the rear changer to loose the unused gear. Many rear geared motors can accept a 36mm wide 7sp freewheel, but an 8, 9 or 10sp generally requires a spacer for clearance due to the extra 4mm width..
8, 9 and 10sp freewheels have the same total width, 40mm. 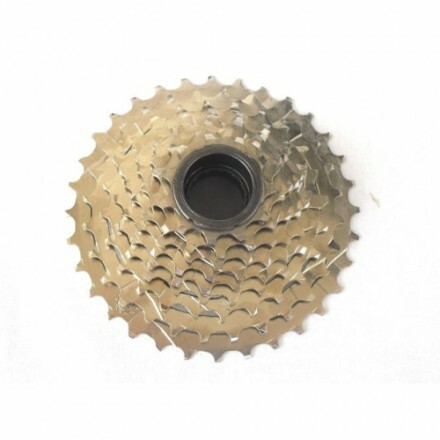 The 9sp has closer spaced gears and uses a different chain with different shifters than used on the 7 and 8sp. 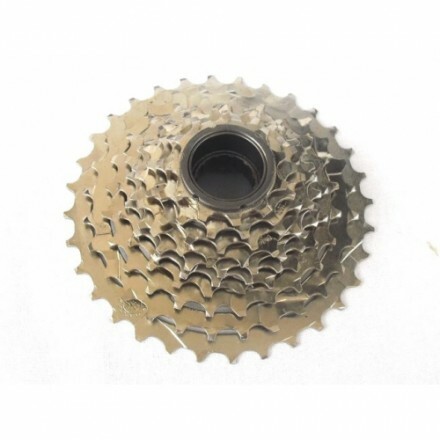 10sp uses even closer spaced gears. 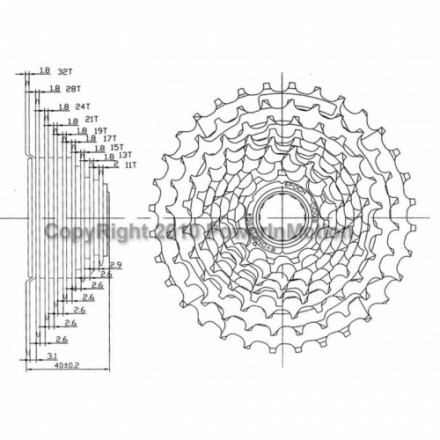 DNP freewheels require the DNP removal tool, a standard freewheel extractor may not work. DNP extractor tool has a bigger hole allowing it to be fitted over a typical M14 rear Hub motor axle.